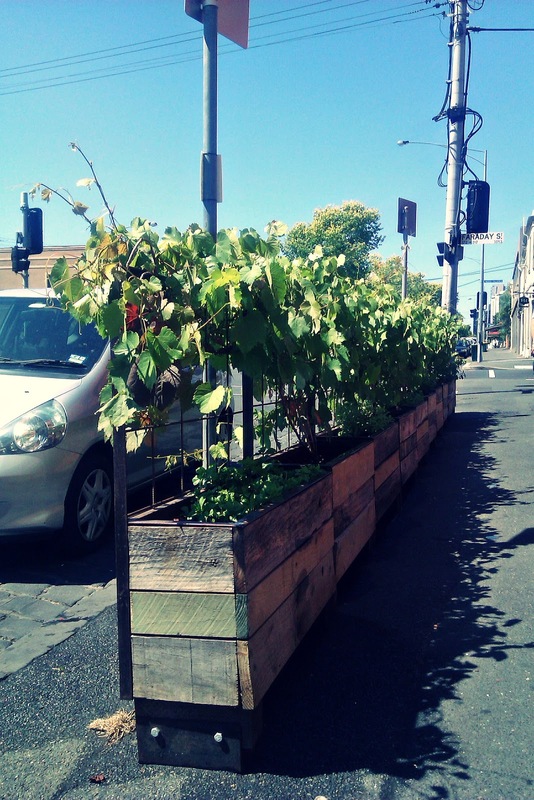 The other day I was riding through Carlton, Melbourne and spotted these. 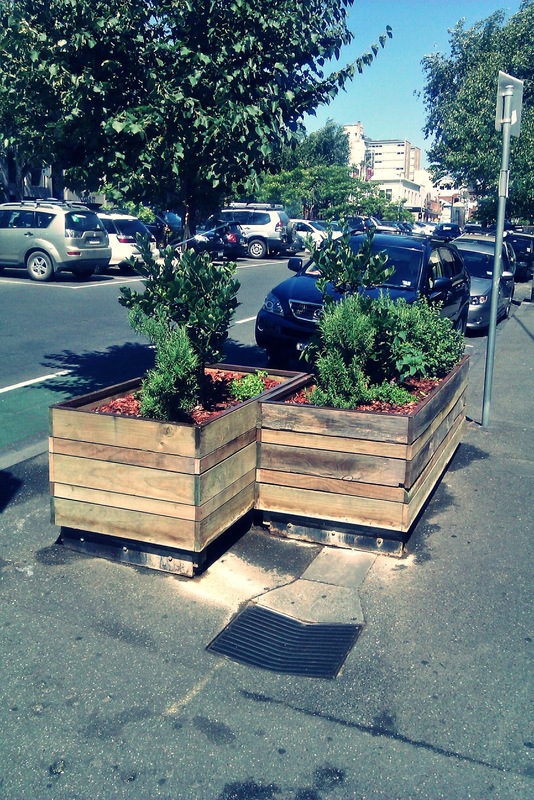 A series of planter troughs made from recycled timber and weather steel, greening up the sidewalk on Drummond Street in Carlton. 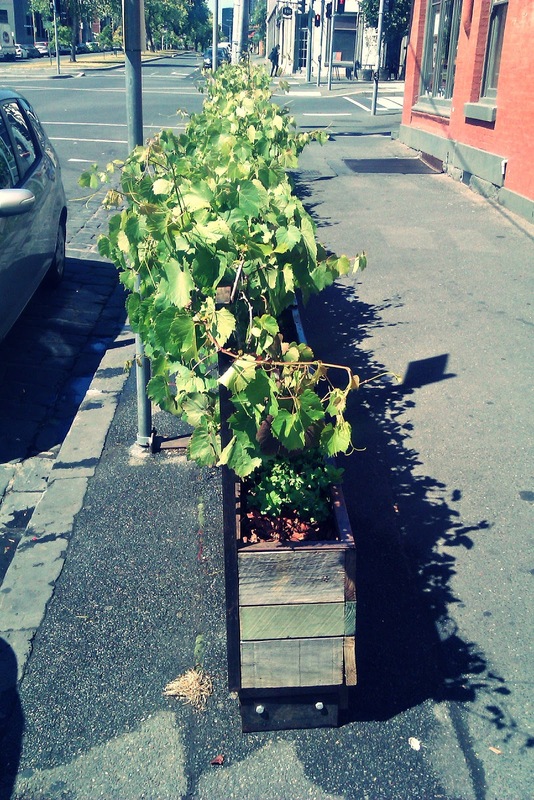 Inside these retro looking troughs were beautiful grape vines and herbs. 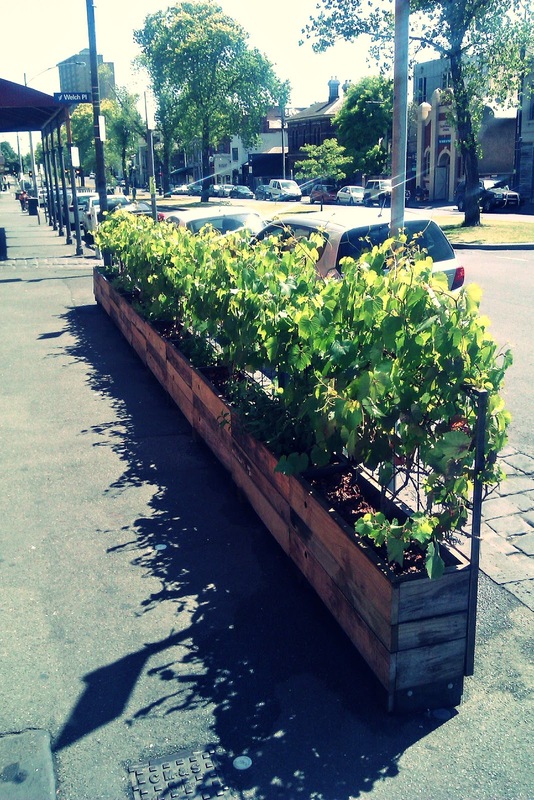 The recycled timber look coupled with the weather metal works really well and I think the vine theme is an excellent choice with the side-walks of Carlton, Melbourne. These cool looking pedestrian path ornaments are outside Victor's Lounge Bar, 03 Drummond Street, Calton. 'Part 20s cabaret salon, part reject-sets from a Fellini film, part props from a Las Vegas casino' [cite] Victor's sounds like a really fun bar to check out. 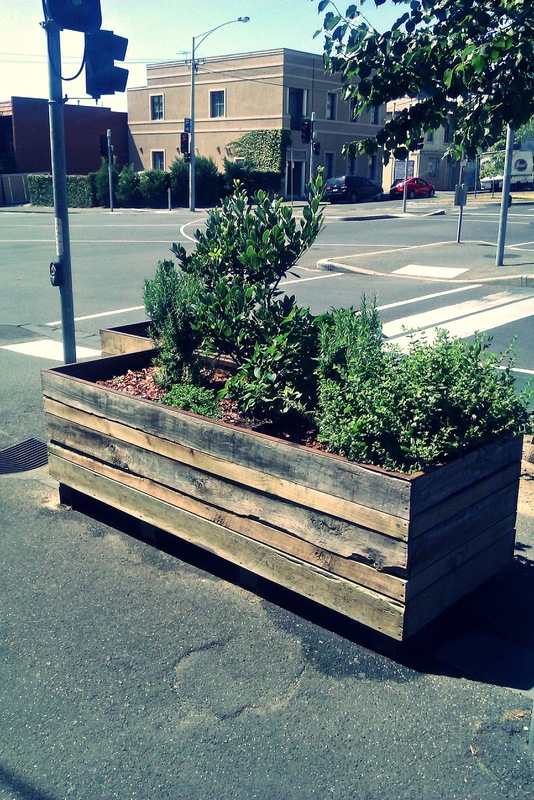 Now with beautiful greening adorning the perimeter, all the more reason! !